The UHV transmission has many advantages for new power networks due to its capacity, long distance potential, high efficiency, and low loss. Development of UHV transmission technology is led by infrastructure development and renewal, as well as smart grid developments, which can use UHV power networks as the transmission backbone for hydropower, coal, nuclear power and large renewable energy bases. Over the years, State Grid Corporation of China has developed a leading position in UHV core technology R&D, equipment development, plus construction experience, standards development and operational management. SGCC built the most advanced technology 'two AC and two DC' UHV projects with the highest voltage-class and largest transmission capacity in the world, with a cumulative power transmission of 10TWh. 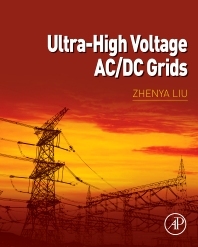 This book comprehensively summarizes the research achievement, theoretical innovation and engineering practice in UHV power grid construction in China since 2005. It covers the key technology and parameters used in the design of the UHV transmission network, shows readers the technical problems State Grid encountered during the construction, and the solution they come up with. It also introduces key technology like UHV series compensation, DC converter valve, and the systematic standards and norms.